Our curriculum pushes the boundaries of your child’s academic abilities while helping them grow into independent learners capable of creative and critical thinking. Your child can choose from a wide variety of electives while still completing the NSW Education Standards Authority's (NESA's) curriculum. Our curriculum helps students to find the courage to extend beyond their comfort zone in all aspects of life to achieve their best both academically and personally. All activities and programs implemented at Pittwater House Early Childhood Centre are based on the Early Years Learning Framework, the national curriculum set out by the Australian Council of Governments. The framework is a holistic approach to early-learning. It acknowledges that play is the best vehicle for early-learning as it provides the most appropriate stimuli for brain development. We emphasise traditional subjects while offering an engaging variety of electives. STEM is extremely popular with our students and is a core part of our curriculum. Rather than separate subjects, STEM uses an enquiry-based approach to learning. Students work out solutions to problems through teamwork and hands-on trial and error. Our STEM classes challenge students to question, enquire, imagine and master the latest digital tools. They are encouraged to make decisions, try bold approaches, experience failure and rebound. Your child discovers the relevancy of their studies to real life. 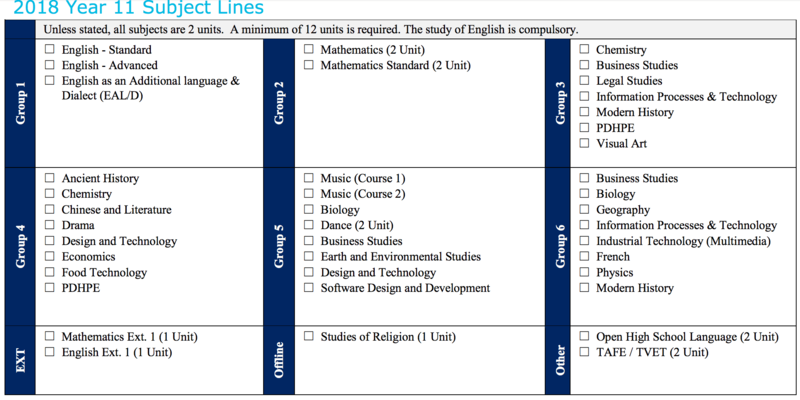 HSC students take 12 units in Year 11 (excluding extension subjects) and a minimum of 10 units in Year 12. They can choose from a wide variety of subjects. All senior students have free access to our Mathematics Study Centre where a maths teacher helps students every Tuesday and Thursday afternoon after school. We offer both French and Mandarin. Your child learns French from Kindergarten onwards and both French and Mandarin from Year 3 until Year 8, after which these languages become elective subjects. French is available as an HSC subject. In Year 9, French students have the opportunity to go on a study tour to New Caledonia to deepen their language abilities. We run a French Club and a Mandarin Club after school for students to practice and expand their language skills. If your child is interested in a language other than French or Mandarin, they can study through Open High School.